Saint Anselm seeks students ready to learn more about themselves and the world. We welcome people who are ready to contribute positively to our community through academics, student activities, athletics, and/or community service. Applying to college is exciting, but we know the process can be overwhelming. To assist you through this important process, our Office of Admission is here to help every step of the way. If you have any questions, please do not hesitate to find your admission counselor and start a conversation. Below are the admission and financial aid deadlines you need to meet on your way to becoming a Saint Anselm student. If you have any questions regarding these deadlines, please feel free to contact the Office of Admission or the Office of Financial Aid. For more information regarding our Admission process, visit our Application Review Process page. For more information on Financial Aid, visit our Tuition and Financial Aid page. You will be notified of a decision earlier than applicants applying regular decision. 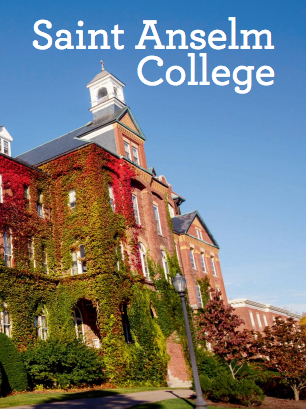 If admitted, you are not required to attend Saint Anselm College. Students applying for the Nursing program must choose to apply either Early Action or Early Decision. *If applying Early Action, notification of financial aid awards will be made beginning February 1 for those families who apply for financial aid by the December 1 priority deadline. You will be notified of a decision earlier than all other applicants. Along with your application, you must sign an early decision contract, acknowledging that upon admission, you will attend Saint Anselm College and will withdraw all other applications. You will be notified of a decision by mid-March. If admitted, you are not required to attend Saint Anselm College. If you are interested in enrolling for the spring semester you should submit your application by November 15. Decisions will be mailed on a rolling basis. If you are interested in on-campus housing, it is strongly suggested that you apply by November 15, as housing is not guaranteed. There is no option to apply early decision or early action for the spring semester. If you are a transfer student interested in enrolling for the fall semester you should submit your application by April 1. Decisions will be mailed on a rolling basis. If you are interested in on-campus housing, it is strongly suggested that you apply by April 1, as housing is not guaranteed.